Mercedes-Benz Arocs low boy semitrailer with boom foot for Liebherr LR 1600/2 Wasel. With the luffing fly-jib the Liebherr LR 1600/2 once again grows in height. 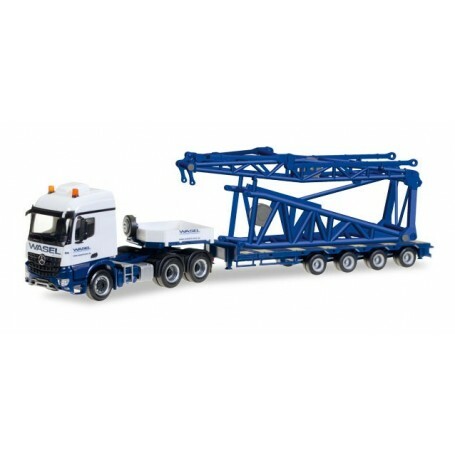 As all other crane components, this new type is also delivered on two new transport units of the heavy-load forwarder Wasel.